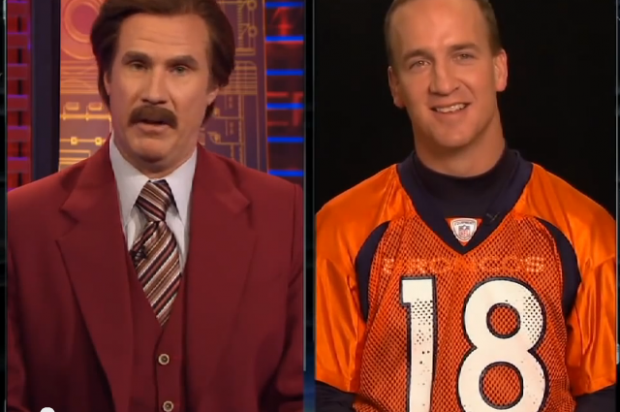 Legendary Anchor Man Ron Burgundy interviews Peyton Manning in this hilarious short. 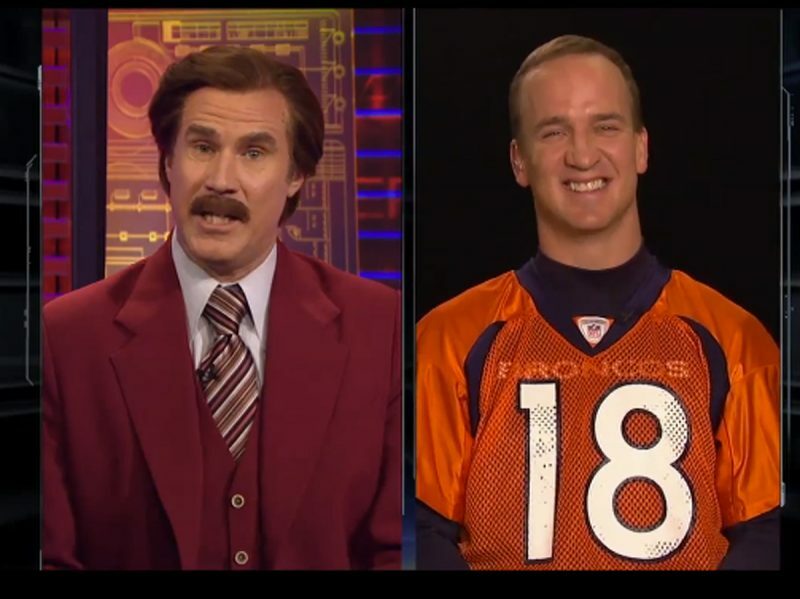 Ron throws in his classic mix ups, while Peyton tries to keep face. Peyton Manning really is classy, much in the same manner as Ron depicts San Diego. Don’t miss Will Farrell in Anchor Man 2 coming out on Christmas day. Anchorman 2 is slated to be one of the biggest comedies of the new year. Early estimates have it winning box office battles for several months to kick off 2014. If you haven’t already purchased a ticket, the film debuts on Christmas day and there is still time to get in on the action.